I remember 1-year-old, round-faced Mendel wearing a yellow sun hat in his stroller. I remember 3-year-old Mendel walking hand in hand with his Eema, Rachel, on their way to Gan Carmela. I remember 9-year-old Mendel, the little league the pitcher in his baseball uniform. I remember his moving bar mitzvah (here’s a 2-minute must-see video I made with Rachel about the bar mitzvah right afterwards). And today? 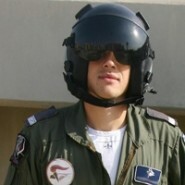 Mendel just started training in the elite pilots’ course of the Israeli Air Force. 18 year ago Rachel gave birth to her first child. In the beginning of his life she nursed him, changed him, fed him. And as he grew she watched over him and kept track of his schooling and filled him with the values she treasured and raised him until he was independent and smart and strong enough to fly solo. This past summer my daughter participated in an intensive dance program. About half of the girls in the program weren’t religious and the teacher wasn’t either, but it didn’t make so much difference. It was a small group and the girls became great friends. There were some moments of culture clash, though, like when the girls were discussing boyfriends and asked my daughter if she was seeing anybody. And my daughter told them, sweetly but firmly, that she was waiting until she was ready for marriage to date. And then yesterday my daughter came home with another story to share. Years ago I gave birth to this girl. In the beginning of her life I nursed her and changed her and fed her. As she grew I watched over her and kept track of her schooling and filled her with the values I treasure. And today, I can’t believe it, but my little girl is no longer a little girl. She’s flying solo. In last week’s peptalk I talked about how each JewishMOM is running a marathon and the joy she will feel when she crosses the finish line. And what I wanted to respond (but was too busy rushing in my own JewishMOM marathon to sit down to write until now) was that while I agree with Sima Leah that this marathon is definitely exhausting, I still believe that there is a finish line. In fact, I believe that there are many finish lines in our JewishMOM lives for us to get some finger-licking sweet nachas from. The baby turned toddler who learns how to crawl and walk and talk. To child old enough to pack his own lunch and take the school bus and do homework. The teenager mature enough to babysit, be a camp counselor, volunteer in her community. The young adult ready to leave home for yeshiva or national service or university or a job. And the final finish line– the adult child who stands underneath the chuppah ready to set up his own home and IY”H raise his own children. This finish-line nachas comes in doses, some small and some large, throughout this decades-long marathon as the child you carried in your womb spreads his or her wings to fly solo– higher and higher until 120, IY”H. Just as a comment to your friend, the way I dealt with the issue of constant repetition of household tasks was to devote one hour in the evening after all my little ones were sleeping and most of my chores were done to doing something such as needlework. I listened to interesting programs on the radio while I worked and got tremendous satisfaction at having something to show for the time that would last. It could be any hobby, but especially those that can be shared with others or even attending a Torah class. EMETT in particular comes to mind. that’s a fantastic idea, thanks for sharing Hadassah!